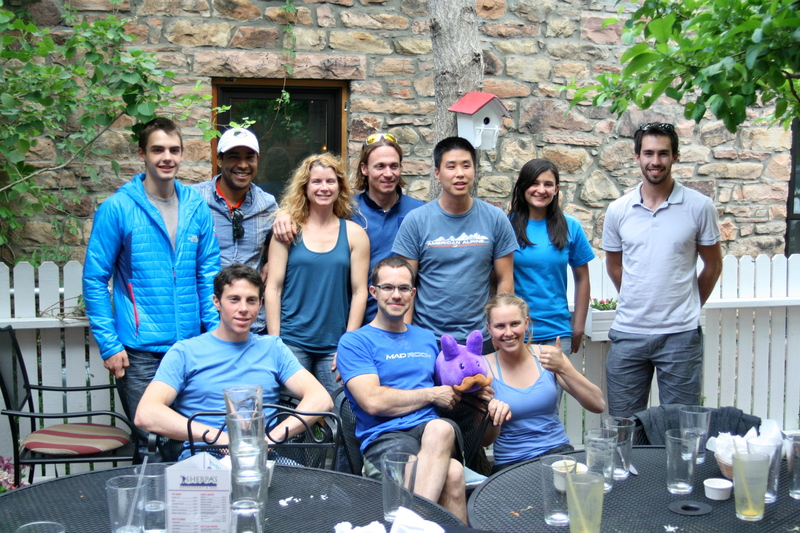 The Mad Rock Pro Team met together after the Climbing Wall Association in Boulder, Colorado. The Mad Rock’s manager was in town for the first time in 5 years, so the team climbed and ate all together for the very first time. The Team has several new incredible athletes – stay tuned! After a 4 hour training session to prepare for Vail, the Team had dinner at Sherpa’s with the new athletes to familiarize themselves. Coincidentally, the entire team wore blue.